Common, especially injuries involving the thumb, index and middle fingers. Subungual hematoma indicates nail bed injury. 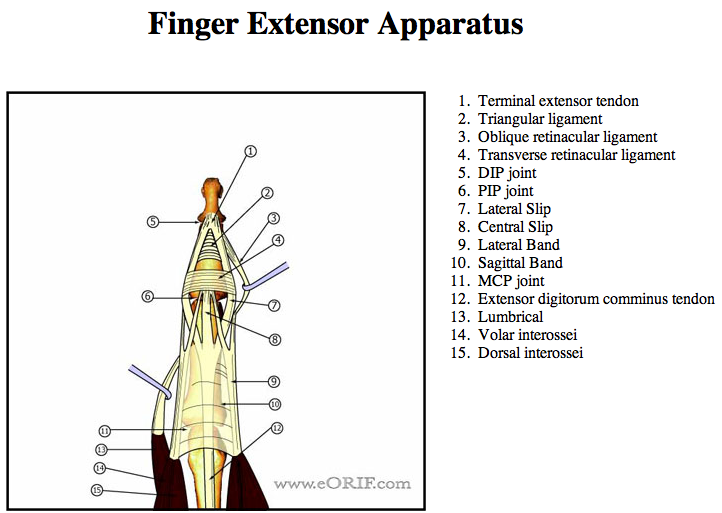 P/A and lateral views of affected finger. 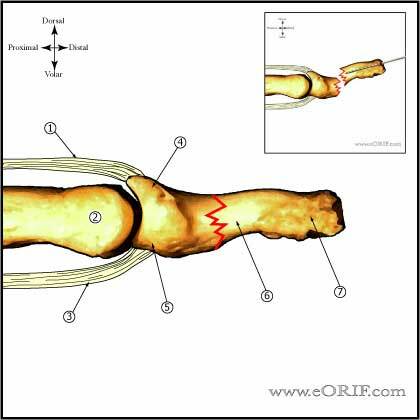 -Non-displaced: splint (alumifoam or Stack splints) Active ROM at the DIP joint can be allowed since tendon insertions are intact. -Non-displaced: splint (alumifoam or Stack splints) with DIP jont immobilized. -Displaced: Extension block pinning. 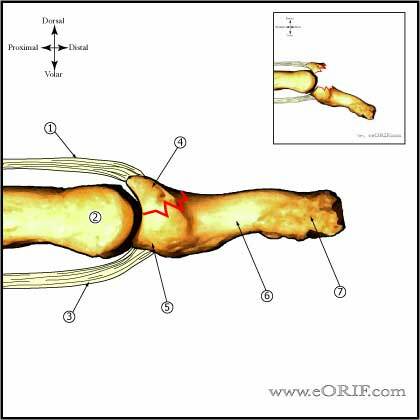 (Pegoli L, J Hand Surg 2003;28B:15). 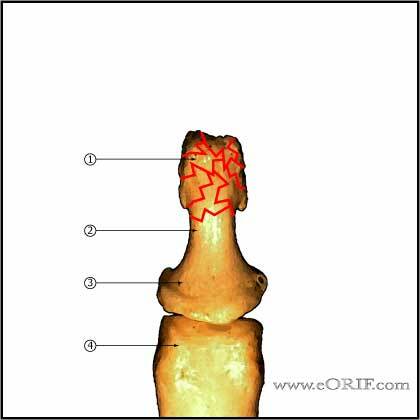 -Can be shearing fractures (usually >20% of articular surface) or FDP avulsion fractures (Type III Jersey Finger). -Non-displaced: (rare) splint (alumifoam or Stack splints) with DIP jont immobilized. -Displaced: ORIF. Large fragment fixation via suture of mini-fragment screws as indicated. See Jersey Finger for technique. 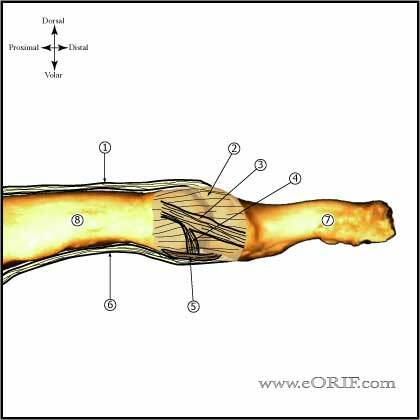 -Displaced (dorsal surface of the phalanx displaced): CRPP focused on providing a level dorsal surface to support the nail bed. -Commonly associated with nail bed injurieswhich should be treated concomitantly. -Displaced: CRPP with two transverse 0.028-in or 0.035-in K-wires. -Displaced: typically severe injuries. 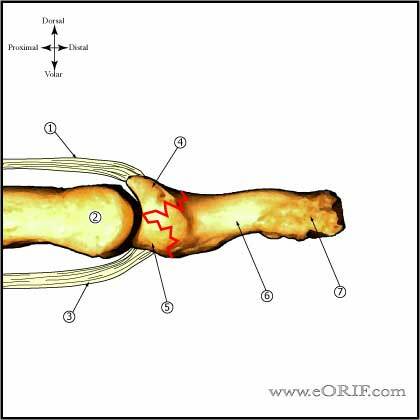 Treatment is dependent on the associated soft-tissue injury. 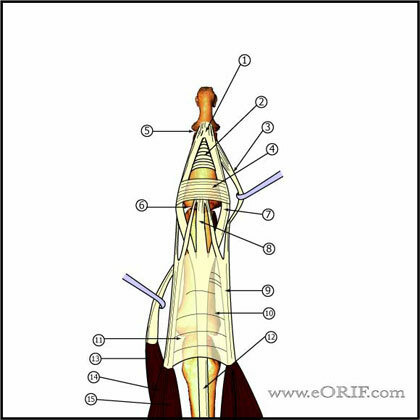 Varying combinations of the techniques desribed for volar base and dorsal base fractures should be employed. -Often require delayed / secondary DIP joint fusion.